Vandals damage headstones in Jewish cemetery on Mount of Olives, not far from home of terrorist who carried out Friday's vehicular attack. 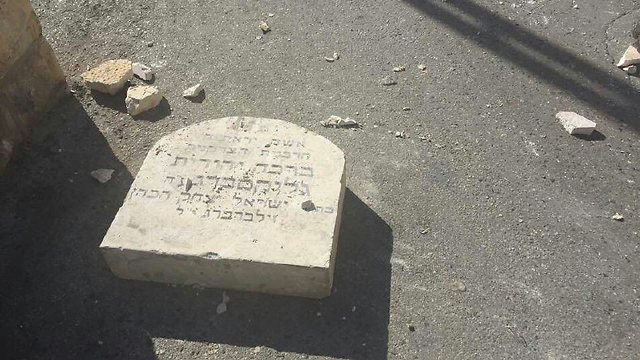 Several gravestones were desecrated on Friday in the Jewish cemetery on the Mount of Olives in Jerusalem – not far from the Ras al-Amoud home of the terrorist who wounded six in an attack earlier in the day. Jerusalem City Council member Aryeh King said gravestones had been damaged extensively. King said that upon learning of the incident, he "headed out with a neighbor to chase the masked men, who immediately fled when they saw us." The council member claimed that Border Police officers and Jerusalem police had arrived to the area before he did, but failed to properly respond. He added that the vandals prevented police from entering the cemetery, and that the police did not make any offensive moves. The police denied his claims, saying that officers arrived as soon as the incident was reported and immediately dealt with it. Six people, including five female officers and an Israeli man in his 50s, were wounded in a suspected vehicular terror attack Friday morning when a Palestinian man from East Jerusalem rammed his car into them. The attack took place outside a Border Police base in northern Jerusalem on Shimon HaTzadik street, which was also the site of a November 5 hit and run terror attack that killed one border police offer and injured 13 people. The area has seen no less than 5 terror attacks in the past year. The terrorist, Udaayi Salayma from Ras al-Amud in East Jerusalem, was shot by a Border Guard who was present at the scene as part of a training exercise going on at in the base - ending the incident by seriously wounding him. A large cleaver was found on the Palestinian's body after the attack, which he reportedly attempted to use on the forces after crashing his car. A source from the East Jerusalem neighborhood who spoke with Ynet said Salayma is known in the area for criminal activities and that in the past some members of the his family have been known to incite riots in the area. Polling shows that two-thirds of Israelis would like to see the back of Netanyahu, mainly because he has presided over a huge rise in the cost of living, and especially the cost of housing. But on security issues a majority of Israelis are with him—so naturally those are the issues he concentrates on. 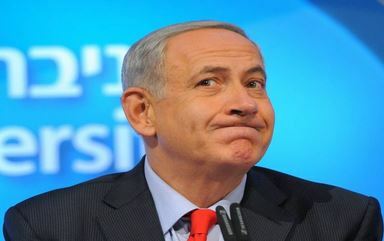 Israeli daily Haaretz has reported that the election headquarters of the Likud Party of Benjamin Netanyahu removed on Thursday at night a video ad that compared workers of the Israel’s Ports and Broadcasting Authority to Hamas fighters. Last Month, the Likud Party issued a video, as part of his campaign ads, showing a scenario in which a victory of leftists in Israel is a triumph for the so-called ‘Islamic State of Iraq and Syria’ (ISIS), known by their Arabic acronym Da’esh. 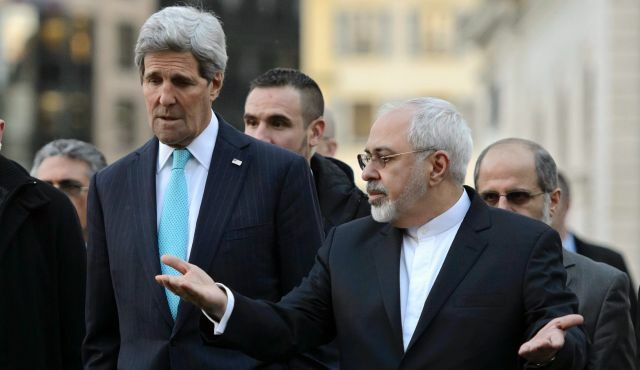 Senior NBC correspondent Ann Curry, who has been covering the nuclear talks between the powers and Iran for two years, challenged Zarif with the examples that Netanyahu gave in his Congress speech. The Iranian foreign minister tried to avoid the question and claimed that Khamenei was not referring to all Jews, but the “Israeli regime” headed by Netanyahu. “If we wanted to annihilate Jews, we have a large number of Jewish population in Iran who not only live in the country in peace, but, in fact, have a representative in Iranian parliament allocated to them, disproportionately to their number,” Zarif said. “Every 150,000 Iranian Muslims has a representative in the parliament, whereas less than 20,000 Jews in Iran have a representative in the parliament. So we’re not about annihilation of Jews. Curry repeated the question and asked Zarif to qualify the distinction between “the regime in Israel” and the Jews. “This regime is a threat,” Zarif replied. “A regime that engages in the killing of innocent children, a regime that engages in acts of aggression. Iran has not invaded any other country. We have not threatened to use force. “Just exactly the opposite of Israel. 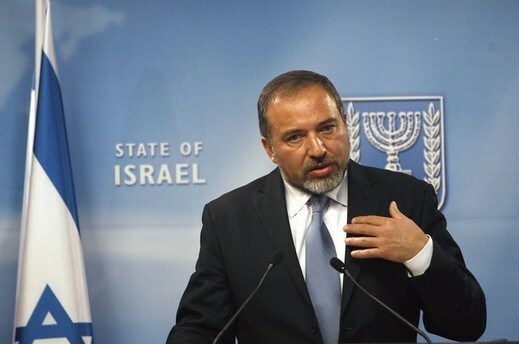 Israel threatens to use force against Iran almost on a daily basis. … Of course if they did use force against Iran, we would defend ourselves, as we have done with great sacrifice in the past. But we are not invading, we are not threatening anybody. We have not threatened anybody for 250 years. Curry continued to pressure Zarif. She reminded him that during the speech to Congress, Netanyahu accused him of laying a wreath at the grave of Hezbollah operations chief Imad Mughniyeh, who was responsible for killing hundreds of Americans. Replying to Netanyahu’s accusation against him, Zarif said: “He is the one visiting [Jabhat] al-Nusra (Nusra Front) terrorists in Israeli hospitals. It’s for him to respond to those allegations. We have been proven, time and again, that we have supported people who stand for justice, who stand against oppression. The Iranian foreign minister emphasized throughout the interview that Iran is not interested in acquiring nuclear weapons and has never tried to do so. “We never had the bomb. We will never have a bomb. We’re not looking to have a bomb,” he said. “We do not believe a bomb is in our interest. Whereas [Netanyahu] does have a bomb. He has 200 nuclear weapons. “He has stood against a Middle East free from weapons of mass destruction. … He continues to make allegations against Iran. He’s in no place to do that. He doesn’t have the authority, the moral authority, to do that. “In 1992, he said Iran was three years away from the bomb or four years away from the bomb. In 1996, he repeated that. He said, in 2012, before the entire world, before the General Assembly of the United Nations, with that cartoon of a bomb, that Iran was a year away from making a bomb. 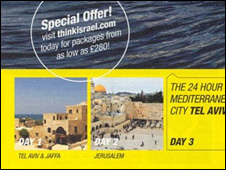 Palestine Solidarity Campaign has welcomed a decision by the Advertising Standards Authority (ASA) to ban an Israeli advert which implies that the Old City of Jerusalem is part of Israel.The advert was produced by the Israel Government Tourist Office (IGTO) and appeared in a travel brochure for Israel. The brochure was included as a supplement in a national UK newspaper. The ASA decision, released on 4th March, comes only days after it received a complaint from Palestine Solidarity Campaign (PSC) about another IGTO publication called Taste of Israel. Taste of Israel was distributed by Waitrose as a supplement in its February edition of its in-house magazine, Waitrose Kitchen. The supplement describes the Golan Heights – which are occupied Syrian territory - and the whole of Jerusalem as being in Israel. It also claims Palestinian foods, including za’atar and tahini, are Israeli. Sarah Colborne, Director of PSC, said the inaccuracies amounted to false advertising. And she welcomed the ASA decision of 4th March. Commenting on the decision, Ms Colborne said: “The Israel Government Tourist Office has shown yet again that, as a propaganda arm of the Israeli government, its publications cannot be trusted or taken at face value. Roi and his family came to Israel eight years ago, fleeing dangerous situation in Colombia; now he faces being separated from his four-year-old son, due to bureaucratic misstep. 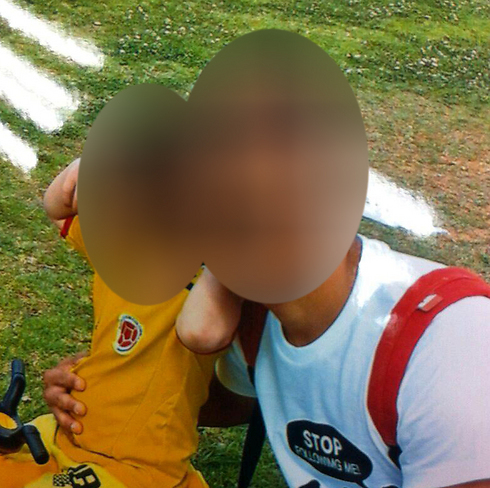 A Colombian asylum seeker and his family were outraged after he and other relatives were arrested and scheduled to be deported from the country. Roi, 29, is fighting a looming deportation as he claims his son was born in Israel, and raised there for the past four years. Roi, a citizen of Colombia, arrived in Israel in 2006 along with other family members. The family received protection as asylum seekers who came to Israel to escape a dangerous situation that arose as their relatives who were members of crime organizations in the country. Two years after arriving in Israel, Roi met an Israeli woman. The two cohabited and had a son together. According to Roi and his former girlfriend, during the birth of their son, the hospital refused to register Roi as the father because he did not have Israeli citizenship. Thus, Roi is not listed as the child's father at the Interior Ministry. The couple separated in 2012, but Roi has reportedly remained an active father. In 2013, the Interior Ministry denied Roi's request for asylum, along with the requests of his twin brother and his mother. The family reportedly did not know that they had the option to appeal the decision. Scared to return to Colombia, the family began living without legal status, under the radar of the authorities, in constant fear that they would get caught. About a week and a half ago their fear was realized. Immigration police knocked on the door of their Ramat Gan home in the middle of the night and arrested the family members. Roi was taken to a facility at Ben-Gurion Airport and now faces deportation – his family has been unable to contact him. After his arrest, Roi's lawyer Moran Gur filed a request for a paternity test to be conducted in order to prove that he is his son's biological father, in which case it would not be legal to separate them. However, the Internal Ministry says it will not wait for the results of the test to arrive. Roi's lawyer said: "About a week and a half ago there was a court hearing for illegal residents at the Givon prison during which I explained the circumstances of the case. "Roi has an Israeli child, and (the child's) mother also wants him to stay in the country in order not to harm the boy. The best interests of the child must be considered," said Roi's lawyer. The lawyer also said that Roi paid as maintenace for the child as required, and raised him along with his mother. "We announced we would file a paternity suit, but due to a search for documents the request was only filed this morning. But the Administration of Border Crossings, Population and Immigration is not willing to wait for the results of the paternity test," Roi's lawyer said Wednesday. Furthermore, Roi's lawyer claims that he and his family were illegally arrested as they were not given restraining orders. She further said that when the family was given their restraining orders, they were given a retroactive date. "This is illegal incarceration. His only crime is that he did not take care of his documents in time. It is not a reason to separate a child from his father," his lawyer argued. Since being transferred to Ben-Gurion Airport, all attempts to reach Roi have failed. His current girlfriend, an IDF officer who serves on the Gaza border, joined in on the fight to keep him in Israel. "Today he is entitled to arrange his status in Israel on two tracks – as a father of an Israeli child and as the partner of an IDF officer. The Interior Ministry must take this into account," Roi's lawyer argued. "The Interior Ministry ignores are applications and delays arranging his status so that they can deport him." Administration of Border Crossings, Population and Immigration said that this is the case of a mother and her two sons who came to Israel as tourists eight years ago. "At first they stayed under temporary protection by the UN and their request was examined and dismissed in 2012 - they should have left Israel then. "The detainee admitted that he knows he was illegally living and working (in Israel). 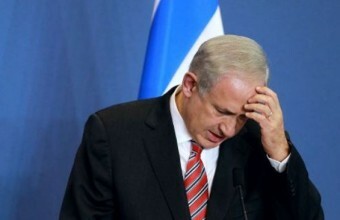 During his entire time in Israel he did not arrange his status in any way. The fact that he wants to arrange his paternity today, after he was arrested, when he is a candidate for expulsion, raises questions of its own, since the child is four years old and it is strange that no actionto prove his paternity was taken until today." The administration also said that a delay has been issued for Roi's deportation until a court hearing that will take place on Sunday. "We will wait for the decision of the court before proceeding," said the administration. Israeli travel agencies said they would resume organizing tourist trips to Egypt after a four-year cessation that started following the January 25 revolution that had ousted former president Hosni Mubarak. According to travel agents, the first batch of Israeli tourists will arrive in Egypt on the second day of the Jewish Passover holiday at the beginning of next April in coordination with the Egyptian authorities. Israeli tourists stopped visiting Egypt in 2011 when their foreign ministry and counter-terrorism authority had issued warnings in the wake of the unstable security situation that took place in the country as a result of the revolution. 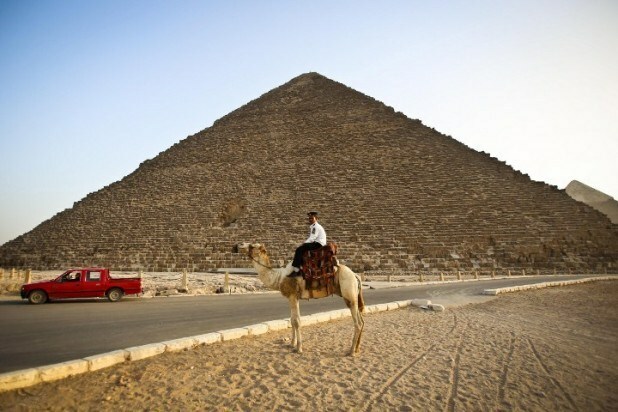 Although the security situation became worse under the rule of the current Egyptian leadership, the Israeli tourism authorities said they allowed local travel agencies to organize trips to Egypt after they received pledges from Cairo to provide Israeli tourists with exceptional protection measures. New findings reveal that one third of Israelis in overdraft of more than 10,000 shekels, some 70 percent have been in overdraft for more than a year. More than 41 percent of the Israeli public is in a constant state of overdraft, and one third have an overdraft of more than 10,000 shekels (approximately $2,500), a new study revealed Thursday. Similar statistics were also found in a study by the Central Bureau of Statistics (CBS). More than half of Israelis in overdraft blame the high cost of living, according to the study. Additionally, 43 percent of those in overdraft have a low income, while 30 percent of those in overdraft have a high income. Some 70 percent of individuals with a low income who are in overdraft are overdrawn up to NIS 10,000. While of those individuals who have a high income and find themselves overdrawn, half of them have an overdraft of more than NIS 10,000. 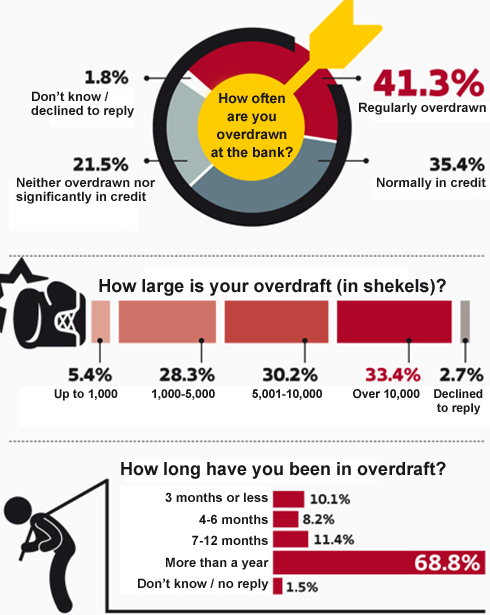 Why are Israelis in overdraft? According to the study, more than half of respondents blamed the high cost of living for their current economic status, while 20 percent were willing to admit that they are overdrawn because of unwise economic practices. Further analysis shows that more women are in overdraft (24 percent) than men (15 percent) and more Orthodox citizens (33 percent) are in overdraft compared to secular citizens (21 percent). Furthermore, more West Bank settlers (38 percent) are in overdraft compared to those who live in Tel Aviv (16 percent). The study also revealed that more individuals with a high income (28 percent) are in overdraft compared to individuals with a low income (12 percent). Meanwhile, 46 percent of those surveyed said they did not believe they would be able to resolve their overdraft this year. The study also examined the social effects of being in overdraft, asking whether being in overdraft affected their relationship with their spouses or family members. Of the respondents, 47 percent said yes, to a certain extent, and 51 percent said that their overdraft did not affect their personal lives. The study had another interesting finding – more than a third of people who took out loans did so in order to close their overdraft. This could well be a wise decision, as the interest for a loan is lower than the interest paid for an overdraft. However, groups that help provide fiscal support to families suffering from financial difficulties warn that people who take out such loans many times find themselves in overdraft once again. They explain that the loan gives these families a false sense of wealth, so they do not change their behavior patterns and fall into overdraft again – this time with the additional burden of paying off the loan. About 11 percent of the public took out a loan in order to help family members. Of people ages 55-64, the statistic goes up to 20 percent, likely because they must help their children buy a home. The Bank of Israel does not know exactly how many people are in overdraft or how many also have a mortgage or maybe even a loan of some sort in addition. According to the survey, a quarter of the people who are in overdraft have an additional loan that is not a mortgage from one of the banks. Additionally, half of those who have a mortgage also have another form of loan. The findings show that individuals with a low income take out reasonably sized loans – about half of low income individuals who took out more than one loan in addition to a mortgage took out loans worth 10-30 thousand shekels. On the other hand, 20 percent of individuals who make less than NIS 9,000 a month took a mortgage or additional loans worth more than NIS 100,000 – putting them at risk. Banks are still the most popular sources of loans, by far. Some 80 percent of those who took part in the survey said that they had taken a loan from their bank or from their spouse's bank. In second place are rival banks: 16 percent of respondents said they took out a loan from a different bank, even though they do not necessarily share the lowest loan interest rates. The third most popular source of loans is credit card companies (14.7 percent), even though the interest rates for these loans are very high (9-10 percent higher than the average and even higher than the 5-6 percent interest rates at banks). The average loan taken out from a credit card company stands at NIS 30,000, according to the study. The most popular source for the largest loans (NIS 100 thousand and more) were pension organizations, which give out loans secured by savings pensions in case they are not returned. These loans are more popular for older clients who saved up money and therefore can take out a larger loan at a comparably low interest rate (1-3 percent). 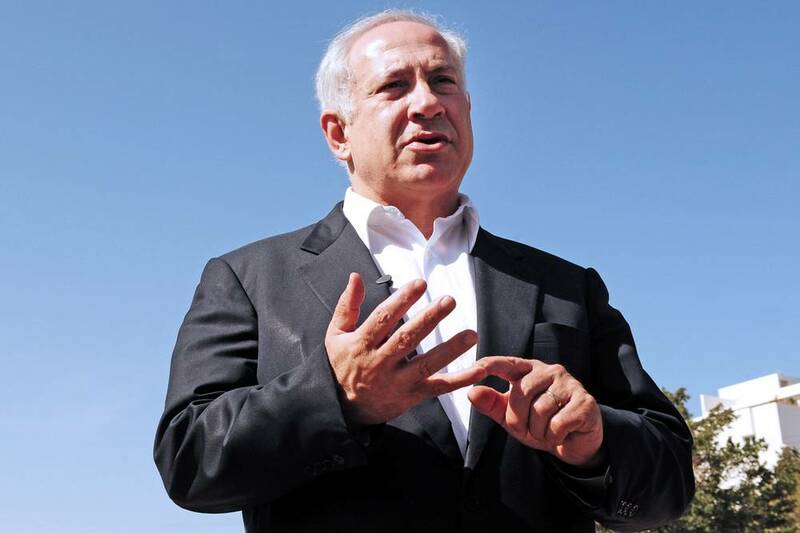 Israeli Prime Minister Binyamin Netanyahu has called off a planned 10 March visit to the southern West Bank city of Hebron following advice from the Israel Security Agency (ISA). Hebron News reports that Netanyahu, who planned the visit as part of his election campaigning, cancelled the scheduled visit to Hebron as the ISA feared the Palestinian response would potentially trigger wider dissent. The Israeli army has already identified the end of March as a potential time of possible “unrest” in the West Bank following Israel's 17 March elections, the lack of a political horizon for the Palestinians and the worsening economic situation in the West Bank following Israel's refusal to transfer tax revenues to the PA, amongst other stated reasons.